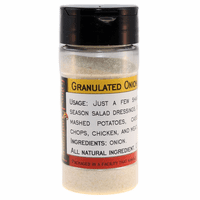 Product Details: Dry onion granules are the most-used ingredient in my home spice cabinet and easily in the top 5 in our commercial kitchen. (Ladies: this is the mascara of spices ;) It's the simplest way to add savory flavor to a dish without adding salt. 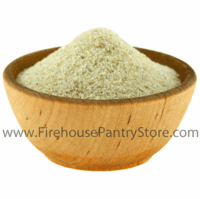 We sprinkle it into soups, stews, sauces, chili, meatloaf, meatballs, mashed potatoes, pasta sauces, beans, and casseroles. Before grilling steaks, hamburgers, pork chops, and chicken pieces, granulated onion coats one side and the seasoning of my choice on the other. Add to dips, spreads, and salad dressings to boost umami. Shelf-stable; no refrigeration required; great for emergency food supplies, camping, RVing, boating, and hiking. Vegetarian/vegan. Ingredients: Onion. All natural ingredient. Packaged in a facility that also handles wheat, milk, soy, egg, sesame, peanuts, and tree nuts. 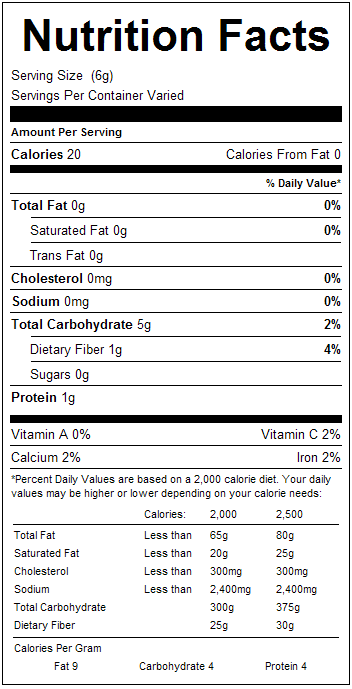 Nutrition Facts: Click here for data per 6 gram serving. Click here for data per 100 grams. We use this to make our: Smoky Onion Dip Mix; Fresh Onion Dip Mix; Grovin' Green Onion Dip Mix; Oink 'N Onion Dip Mix; B.L.T. Dip Mix; Dillicious Dill Dip Mix; Green Chili & Chive Dip Mix; Philly Cheese Steak Dip Mix; Roasted Garlic, Onion & Pepper Dip Mix; Zesty Garden Vegetable Dip Mix; Garden Spinach Dip Mix; No-Salt Garden Vegetable Dip Mix; Gourmet Grilled Burger Seasoning; No Salt! All-Purpose Grilling Seasoning; Firehouse Shake All-Purpose Seasoning; and Mike's Mesquite BBQ Rub.